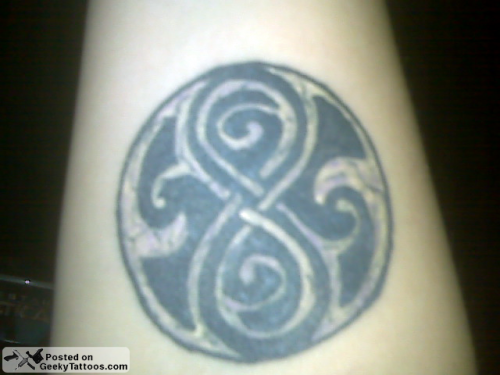 The first is my Seal of Rassilon from Dr. Who (upper right forearm). I got it done by Rex at Monster Ink in Saint Paul, MN. 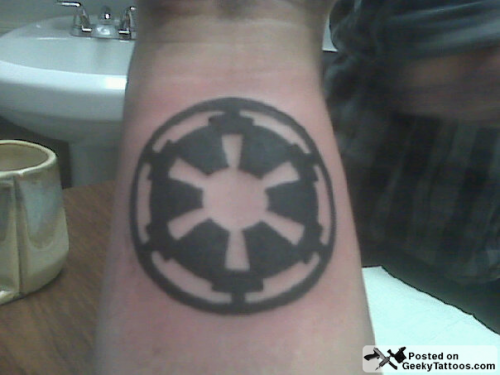 The second is my Galactic Empire emblem (lower right forearm). 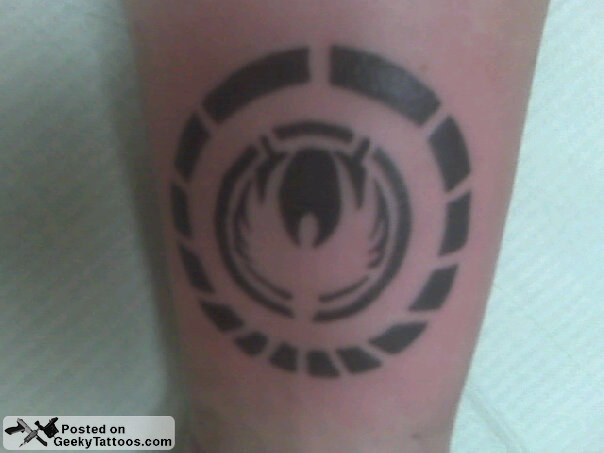 The third is my Battle Star Galactica emblem (lower left forearm). Above that I will be getting the Torchwood emblem. The last two were done by Creed at Serious Ink in Fridley, MN. Damn, the Torchwood emblem isn’t circular. Good thing we’re posting this before she gets it! Posted in Movies, Star Wars, TV. Tagged with Battlestar Galactica, Dr Who, forearm, Galactic Empire, Monster Ink, Seal of Rassilon, Serious Ink, Star Wars. Dude my Seal is way cooler! I sent you a picture. Aw, I had the same idea ): But would never tattoo an Empire symbol. Rebels ftw!